Starting the day with a bowl of warm oats is one of my favourite breakfasts. Adding them to pancakes, muffins or even using them in my peanut butter cookies makes them so much healthier. But did you know they also have various skin benefits? 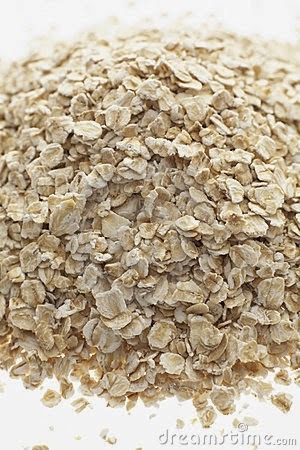 Oats play an important role in fighting acne or dryness. They are anti-inflammatory and absorb dirt, getting rid of all impurities. When applied to skin, if helps it form a protective barrier, reducing symptoms of itchiness, dryness and rashes. Even the Ancient Arabs and Egyptians believed they made you beautiful! Make a simple face mask by mixing 30g oats, 1/4 teaspoon sugar, 1tsp honey, and 30ml water. Apply to a damp face for 15 to 20 minutes. Interested in more face masks? Click here and for a collection of them! You can also make a moisturising face scrub by finely grounding 1tbsp of them and mixing them with a finely ground tbsp of almonds. Add some water and use. They are also a natural cleanser- when wet with lukewarm water they release a milky liquid that can be applied to the face. Pore size will become significantly smaller and leave your skin feeling silky. Did you know of their various uses? Comment below! Review | Graze Boxes + FREE box for you!